Lemn Sissay is the author of several books of poetry alongside articles, records, public art, and plays. He was an official poet for the London Olympics. His Landmark Poems are installed throughout Manchester and London, in venues such as The Royal Festival Hall and The Olympic Park. 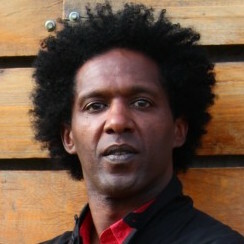 Sissay is associate artist at Southbank Centre, patron of The Letterbox Club and The Reader Organisation, and inaugural trustee of World Book Night.